What is Droplet Digital™ PCR? 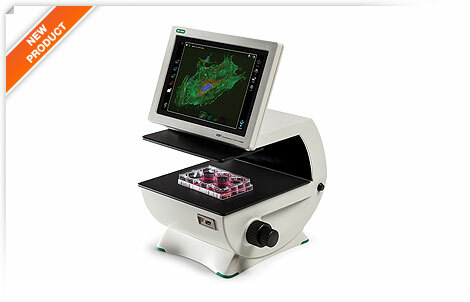 The ZOE Fluorescent Cell Imager eliminates the complexities of cell imaging associated with traditional microscopes. This fluorescence imaging system combines the ease of use of a personal tablet with the power of an inverted microscope. An Android-based platform, the ZOE Cell Imager uses an intuitive touch-screen interface to control the brightfield, three fluorescence channels, and the integrated digital camera. The ZOE Fluorescent Cell Imager is a complete digital imaging system, allowing users to view samples, capture and store images, and create multicolor overlays. Thanks to the built-in light shield, the ZOE Cell Imager does not require a darkroom for fluorescence imaging. More information on www.bio-rad.com page. Copyright © 2007-2010 SIA Diamet.